Ran across this the other day. Despite a certain minor resemblance to a black velvet painting, I quite like it. Edit: Grr. For some reason known only to itself, WordPress never successfully posted this last night. This entry was posted in Sunday Switchup and tagged Mission. Bookmark the permalink. 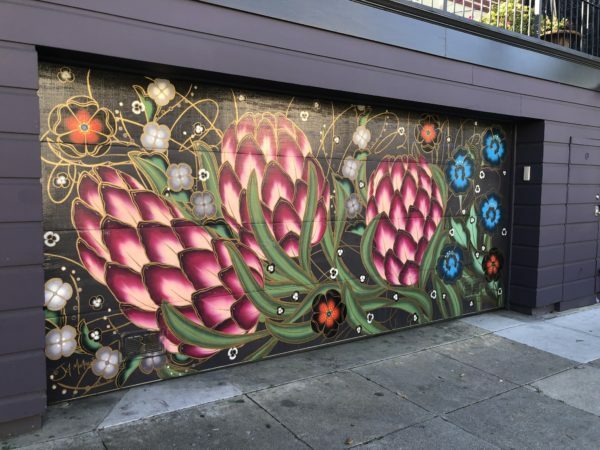 2 Responses to Sunday Switchup: Mural-velous! I know. There are a lot of murals in SF, and most of them are nice, but this has to be in the top 10%.